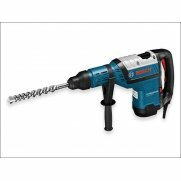 Bosch GSB 13 RE 13mm Keyless Chuck Impact Drill 550 Watt 240 Volt Version. 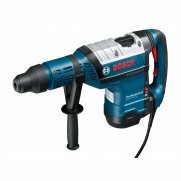 The Bosch GSB 13 RE Impact Drill is fitted with a robust, twin-sleeve keyless 13mm chuck made of metal for fast tool changes. 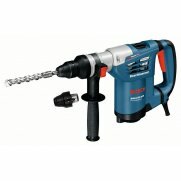 It is extremely handy, no bigger than a glove and light weight at 1.6kg. 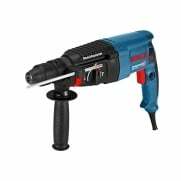 It has a softgrip handle for a secure, comfortable hold. 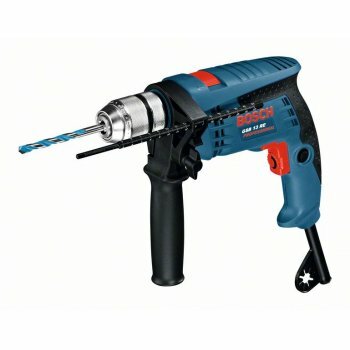 Fitted with electronic control for exact pilot drilling, speed preselection with setting wheel, and forward/reverse rotation. 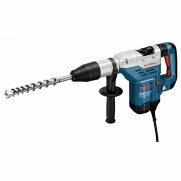 Specification Input Power: 600 Watt.No Load Speed: 0-2,800/min.Impact Rate: 0-44,800/bpm.Torque: 10.8Nm.Rated torque : 1.8Nm.Chuck Capacity : 1/2in/13mm Keyless.Drill Spindle Connecting Thread : 1/2in 20 UNF.Capacity: Concrete: 13mm, Wood: 25mm, Steel: 10mm, Masonry: 15mm.Weight: 1.5kg.